This stunning photograph shows Isle of Man TT legend John McGuinness on his way to victory in the 2012 Superbike TT, his 18th win on the TT course. The image of McGuinness at Barregarrow was considered so striking it was selected as the cover image for the official review of the 2012 TT. Captured by Manx photographer Dave Kneen, the image encapsulates the TT, with the dominant Honda TT Legends race bike blasting along the grass verge-lined public roads of the Isle of Man. 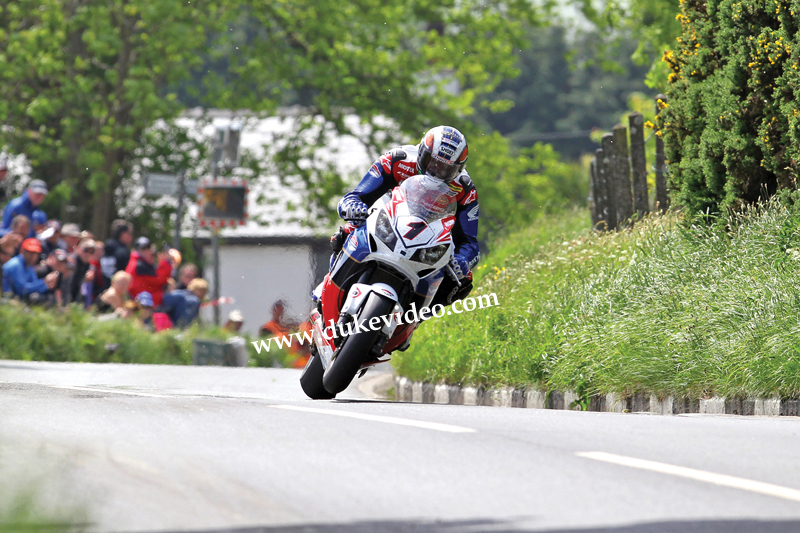 It is a wonderful portrait of a modern TT legend, on his way to victory in the fastest-ever Superbike TT.